To be perfectly honest, the days of newbornhood – while amazing and awe-inspiring and full of love for a sweet new soul – have never been for me a time of deep connection to God. 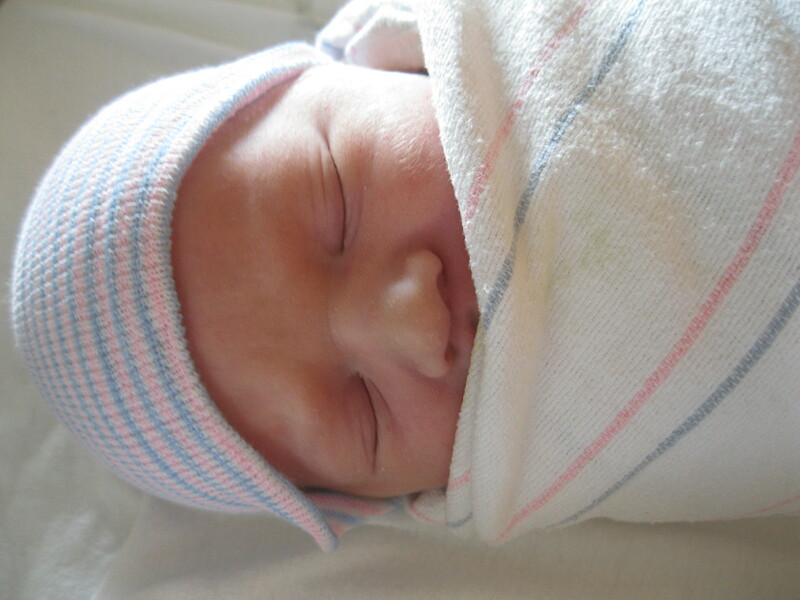 My foggy head spins with a swirl of nursing and diaper changes and laundry and naps. Some days I can barely form coherent sentences, let alone see the spiritual significance of the moment. I know God is present with us, everywhere and always, but I’m usually either self-absorbed or baby-absorbed. God has a tough time getting through to me. 10. If you want something desperately, and you cry out loud enough, your call will be answered. We all doubt at times that God hears our prayers. But the parental impulse to run and pick up the screaming child has taught me that God-as-parent must do the same for us. We do not always see prayers answered in the way we imagined, but they are heard and held by the One who created us. Parenting instinct affirms it must be so. 9. When someone is trying to give you what you need, don’t fight it. I can’t tell you how many times my spiritual director would gently offer me the same wise counsel as she had during our last meeting, and I would vigorously shake my head, adamant that it wouldn’t work for me. Hindsight and a sense of humor have shown me I was wrong. She knew what I needed, and I fought it as furiously as a fussy baby refusing the breast. 8. Sometimes you grow slowly and sometimes you transform overnight. Any parent will tell you there are mornings you go in to pick up your child and find that they have changed while they slept: broader nose, wider eyes, longer legs. But other times we wait for months for the baby to meet the milestones: smiling or rolling, walking or talking. Change is sometimes quick and sometimes creeps at a crawl. We can never force the growth: we can only welcome, witness, and wait. The work of carrying for a tiny, helpless human being is exhausting. Creating a strong, healthy prayer life is hard work, too. So we have to be gentle with ourselves, affirm the small steps we’re making, and care for our basic needs along the way. Neither of these pursuits – parenting or praying – was meant to be solitary. While we each bring our own wisdom, the wisdom of those who went before us is tried and tested, ancient and true. We do well when we admit we can’t do it on our own, that we need others’ support and inspiration to keep going. 5. But don’t follow everyone’s advice. People will give you lots of suggestions: cuddle that baby, or cry-it-out; pray in the morning, pray without ceasing. Some of the advice you hear will help; some of it will not. Because what works for one may not work for another. (Subsequent children teach you this quickly.) And what works during one season of life – whether it’s centering prayer or swaddling to sleep – may not work for the next. 4. Routines = good; ruts = bad. When you rise early for morning prayer each day and it settles your soul before your daily work, it’s life-giving. When you drag yourself out of bed every morning for a month grumbling about how you need more sleep, morning prayer will not allow God to speak to your stubborn, sleepy soul. Don’t be afraid to roll out of a rut and into a new routine that works for you. Forcing the baby to sleep, eat, and follow your schedule will grind you both into the ground. A flexible routine that adapts to changing days helps everyone breathe easier. 3. Everything is a phase. They call it a dark night – and not decade – of the soul for a reason: it shall eventually pass. And you don’t meet a lot of colicky grade-schoolers. Of course, trusting this truth in the moment is always a struggle. But looking back we usually see that the dark days and the tough times were not quite as endless as they seemed. 2. Be prepared to be surprised. God will sneak up on you when you least expect it: during late-night nursing sessions, in the middle of simultaneous scream-fests from multiple children, surrounded by piles of dirty laundry. If you try to script how you encounter the divine, you’ll surely miss it. Likewise, the baby will never follow the book. But if you’re open to wonder amidst the mess of reality, you might just be surprised. If you suspect a change is needed, make it quickly. Otherwise things will really start to stink. Whether you need a kick in the pants to restart your prayer life, or whether you just need to change a little one’s pants, do it sooner rather than later. Rarely will you regret it. What truths – spiritual or otherwise – have your children taught you in their earlier days?